GAME ART BRINGS THE BEST WINTER SPINS TO EAT-SLEEP-BET CASINO! 5000 FREE SPINS GIVEAWAY! Oh my gosh, that sounds amazing! It has been a while since you competed with other Eat-Sleep-Bet players, so now you can go straight ahead on the latest promotion at Eat-Sleep-Bet Casino powered by GameArt! Show us your SPIN-tastic skills and grab the Best Winter Spins! Well, these Free Spins wins are not bad at all! And our lucky Eat-Sleep-Bet winners will be able to play them on Money Farm, awesome! No need to remind you of this super popular online casino slot or of its younger brother Money Farm 2, all the details and the interesting stuff have been already described in one of our older blog posts. Have you ever been sure that you saw something for the very first time but you also knew deep down inside that it was somehow familiar to you? Bingo! This is exactly the feeling we got after launching one of the selected casino games – Gold Of Ra! Damn it, another ancient Egypt themed casino slot, that is what crosses your mind at first, probably. And then you start thinking – is not it quite similar to another GameArt online video game – Ramses Treasure? No, it is not! Let us correct you: it is exactly the same! Lol, okay, there are tiny differences (in two features, to be precise) but that can be barely counted. For example, not all the colors on the graphics are identical, hmm. We also found out that the coin win values do not match, as online casino slot Gold Of Ra offers slightly higher coin wins. However, the rest remains the same, starting with the Scatters, Wilds, Free Spins and ending up with the Chamber of Ra bonus feature (GameArt was not even bothered to change the name of the bonus feature, shame!) 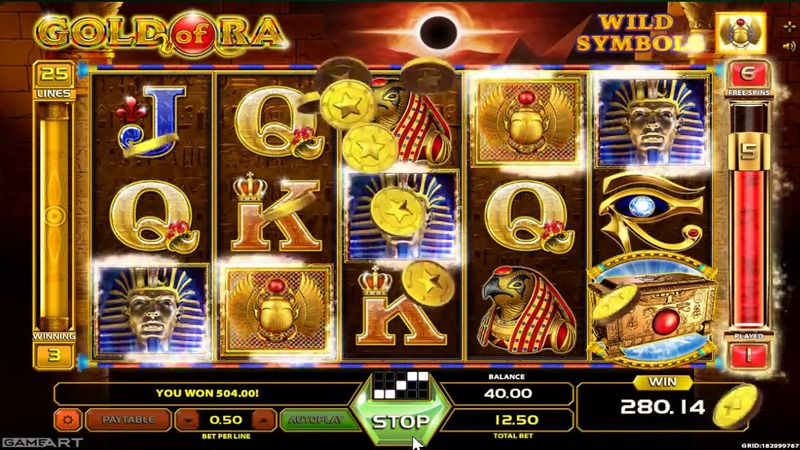 Well, whatever, if you like the stereotype and get eager while watching the Mummy movies, then just launch this online casino game and have fun at Eat-Sleep-Bet Casino with all the scarabs, chests and treasures on Gold Of Ra! 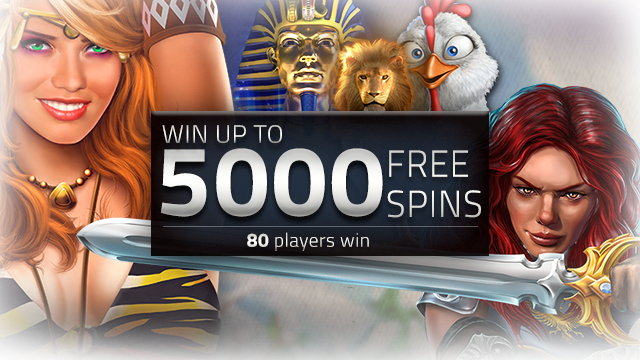 In the end, it is all about that 5000 Free Spins! What if you do not fancy this online casino slot? Then you still have other online casino games to choose from, just make sure you play Tiger Heart, Gold Of Ra, Money Farm, African Sunset or Joan of Arc between January and 3rd February! Hit the reels and show us who you really are - the master of the spins at Eat-Sleep-Bet Casino!